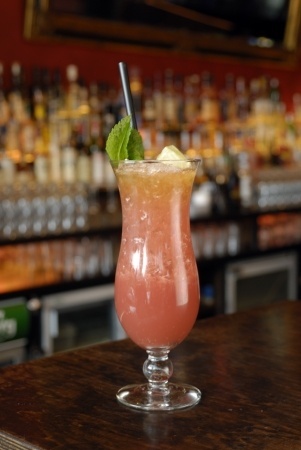 The Zombie came on the scene in the 1930s at Don the Beachcomber in Los Angles. Invented by the Beachcomber, the original recipe was held close to his heart. In fact, the following recipe is most likely an approximation. Due to the mystery surrounding the recipe, their are several variations of the Zombie Recipe. Blend at a high speed until smooth and pour into a Collins glass.Float the 151 rum on top and garnish with the orange slice and maraschino cherry.